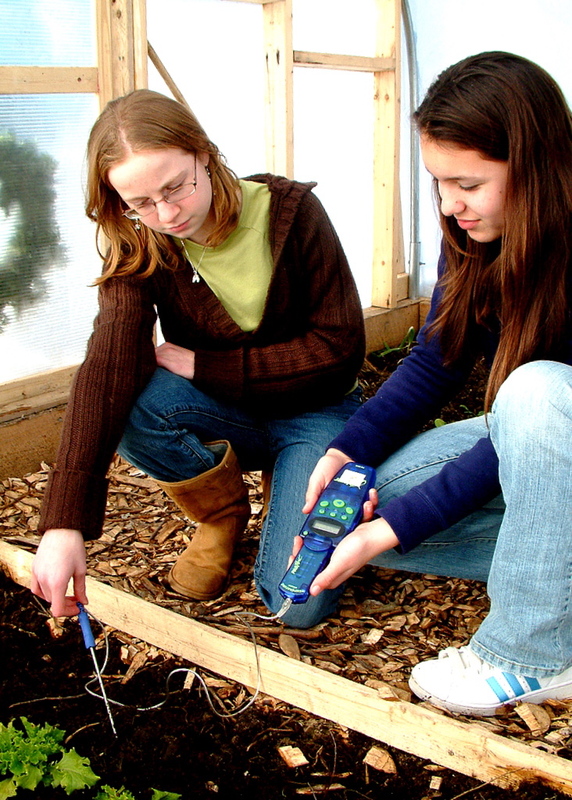 Did you know that you might be eating Troy Howard Middle School’s (THMS) garden’s greens? We have harvested a lot of greens this winter inside the greenhouse. We have planted many different greens like spinach and swiss chard. The THMS garden project has been harvesting greens and packaging them to send to the Belfast Co-op and the school kitchen twice a week. If you have been to the Co-op lately you might have bought some of our own organic greens. The students have advertised our garden produce at the Co-op to help increase sales. If you stop by the school for a visit, you can see some of the achievements we have made since the beginning of the year. 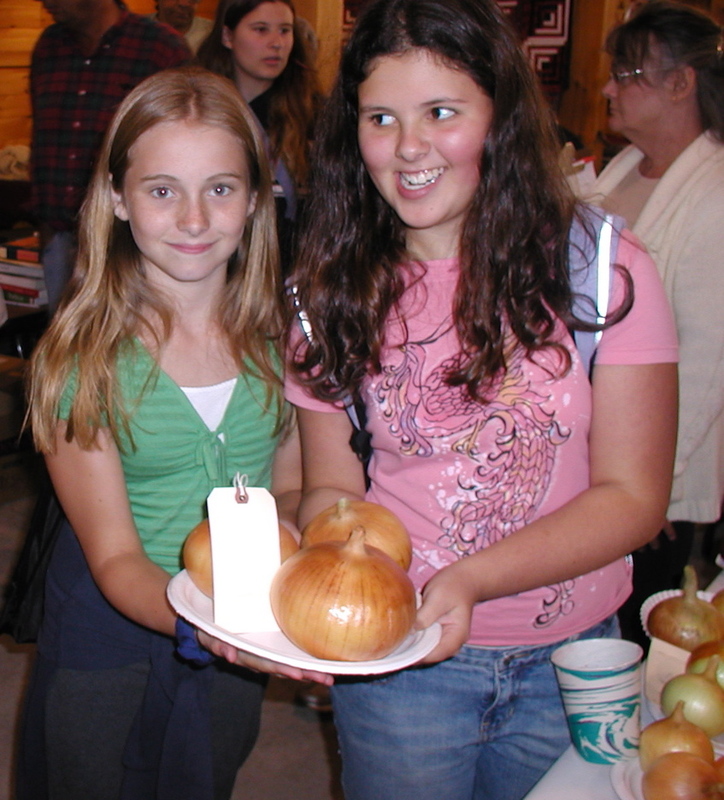 For example, we went to the Common Ground Fair this year, and won all first places except for one contest. 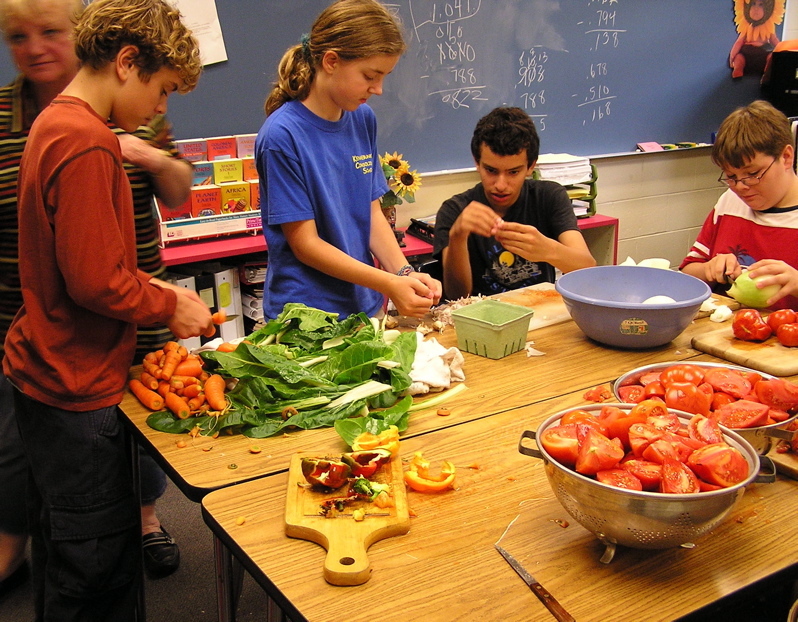 Everyone worked really hard, growing the vegetables and watering them so they would be nice and healthy to help people get better nutrition in their food. We have had many compliments on the vegetables that we have grown. So why not stop by the Co-op or the school greenhouse to see our vegetables and try them for your next meal! 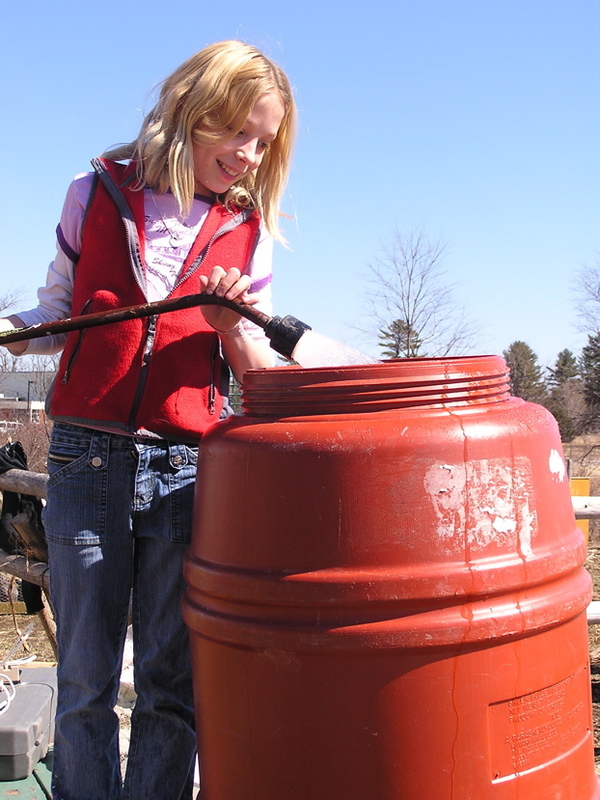 Compost tea is used to replace the fungicides and pesticides that are often used in gardens. We don’t want to use pesticides and fungicides to get rid of bugs and weeds for a few reasons, one, they often kill good plants and bugs as well as bad ones and also the chemicals used to in them are very harmful for the environment. This is helpful to the garden and it will grow better as well. Compost tea increases plant growth by providing nutrients for the plants and the soil. It also has beneficial organisms. All of this means it decreases the number of diseases in the garden, and it replaces the toxic garden chemicals. Using mature compost, an aquarium pump, a gang valve, a hose, molasses that is un-sulfured, and some water you can turn your brown “things” into a gorgeous garden that everyone is dying to see. You could have a prize winning garden! Wouldn’t that be nice to have beautiful plants? So try compost tea, you have nothing to lose; instead you gain your dream garden. 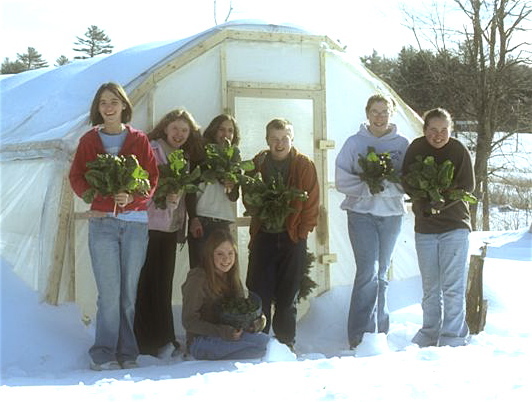 Can a person grow greens, in Maine, during the winter, without artificial heat? The obvious answer to this question would most certainly be no. Outside, the weather is literally freezing and, of course, plants cannot grow in these conditions. Water may freeze inside the root and will not be able to get to the plant. Some of us in the THMS Garden Co. decided to look at this question, wondering if, by building a Hoop House, we could change the answer to this question. We built a 12’ by 20’ hoop house for the plants to grow in. Our hoop houses are like the big green house, but mini, without any artificial heat. With a team of people, these hoop houses can be moved around the garden. Inside the hoop houses we assembled small hoops to hold row cover close to the ground. hoop house with one under a row cover inside the hoop house. The temperatures were generally much colder outside, and warmest under the row cover (see page #6 for graph). The temperature without the cover was about 15 to 20 degrees colder then with cover. Why was it warmest under the row cover? There is something called the greenhouse effect. When sunlight comes through the walls of a greenhouse, it bounces around but is not able to leave the greenhouse. With a row cover, some of the heat in the greenhouse bounces under the cover. Under the row cover the heat is contained the best, but outside, with no cover, the heat is contained very little. In both the hoop house and under the cover, we were able to keep the temperatures high enough to grow greens, even during those below 0 degrees nights. Right now we are growing some spinach, planted this winter, both inside of and out of the row cover. The row cover spinach is growing much better. Even though the temperatures stayed very cold this Feb we did notice that growth picked up as the days became longer, despite the cold. So thanks to our greenhouse effect, our probes, and our healthy greens we have proven that it is, in fact, possible to grow greens in Maine during the winter, without any artificial heat.